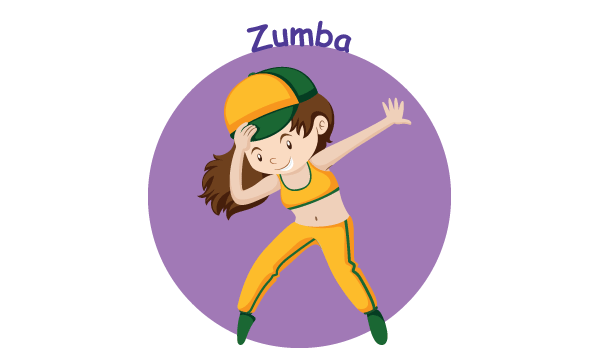 Zumba activity is a dance program for children. This program is rockin’, high-energy dance parties packed with specially choreographed, kid-friendly routines and all the music kids love. This dance inspires kids to express themselves through movement and play while effectively improving their overall health and well-being. Kids love it because it’s on the cutting edge and fun, and parents love it because it’s active, fun and for the effects it has on kids – increasing their focus and self-confidence, boosting metabolism and enhancing coordination. Students must wear sport shoes and short or pant or legging during the activity (no dress for girls!). They can wear these cloths to come to school in the morning. Unit price for 6 session(s) (฿ 500/session).